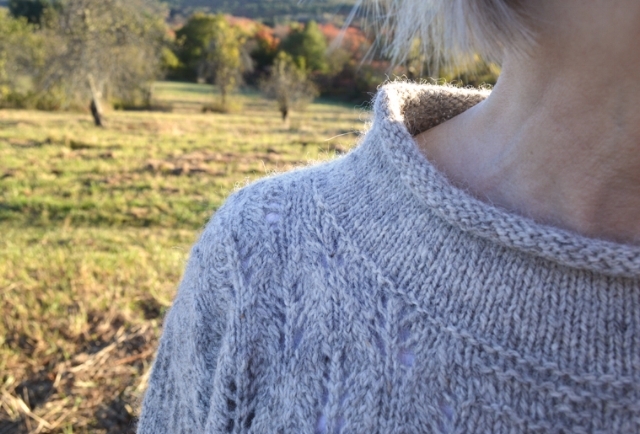 For those of us working on Rhinebeck sweaters, the recent heat wave here in Massachusetts seemed just a little cruel. But — hurray — it's over and more typical New England fall weather is at hand! 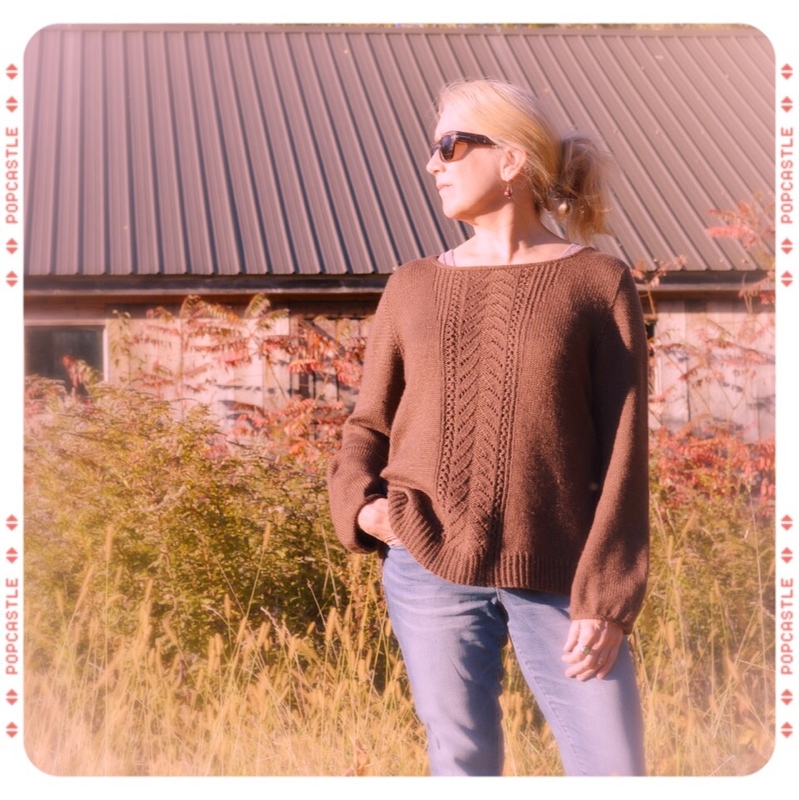 So I thought this month's Throwback Thursday post really ought to be about a sweater — because what is fall for us knitters if not sweater season? 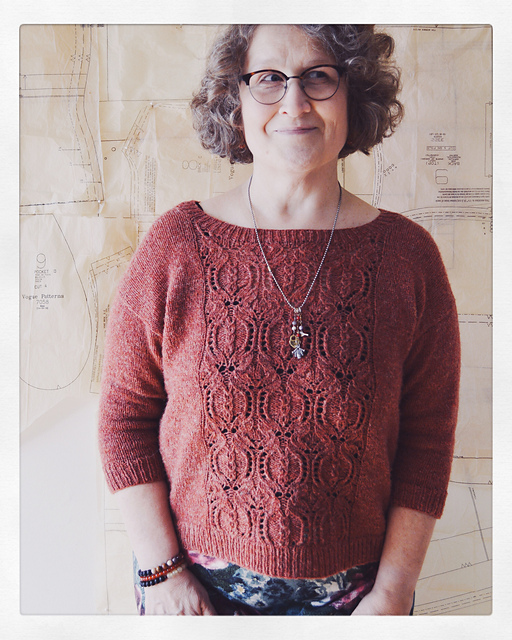 First published in fall 2014, Meadow Road is one of my most popular sweater designs. Knit in the round from the bottom up, it features a crisp lace-and-twisted-stitch motif on front and back. With a comfortable A-line shape, it can be worn with lots of positive ease or just a little — whichever you prefer. 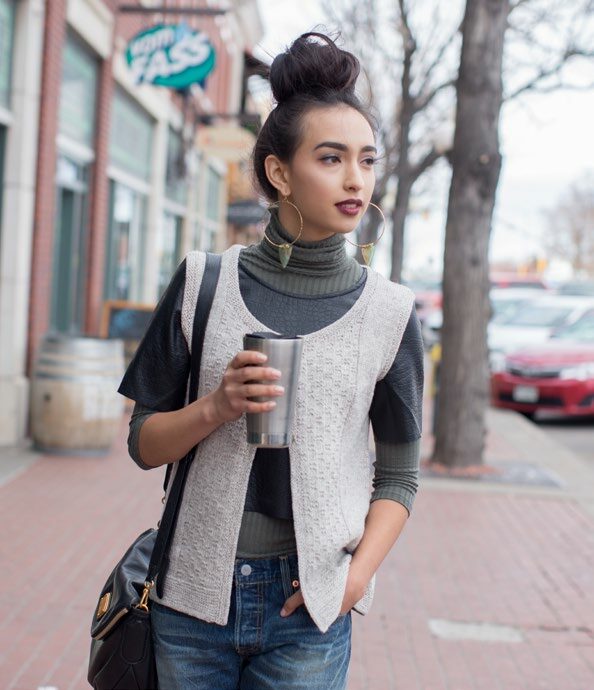 On the model, the sample was worn with about 4.5 inches of positive ease, but many knitters have opted for a more fitted look with great success. 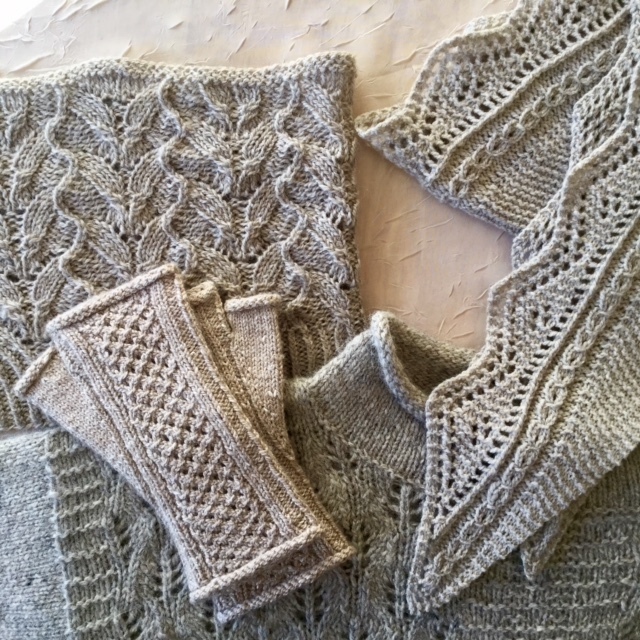 Meadow Road's wide neckline is finished off with a simple edging of reversed stockinette; the long gathered sleeves, which are knit top down, in the round, have the same edging. The sleeves, by the way, are easily modified. 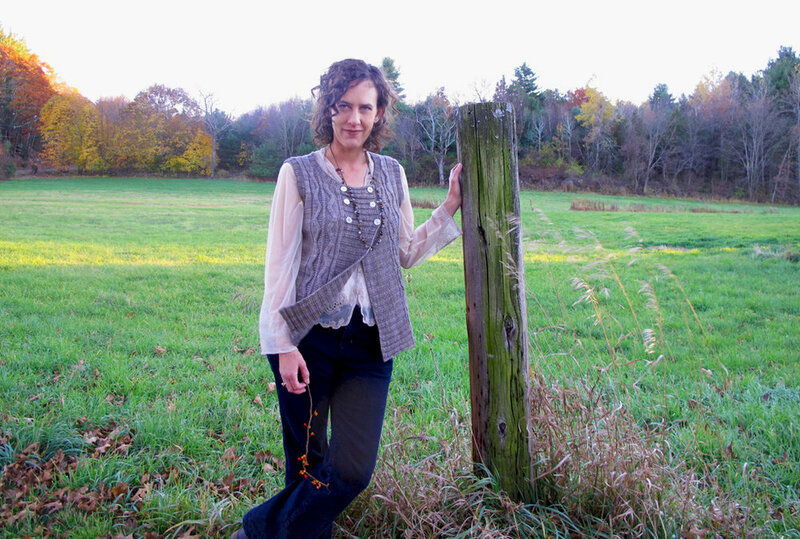 Several knitters have opted instead for ribbing or for 3/4-length sleeves. 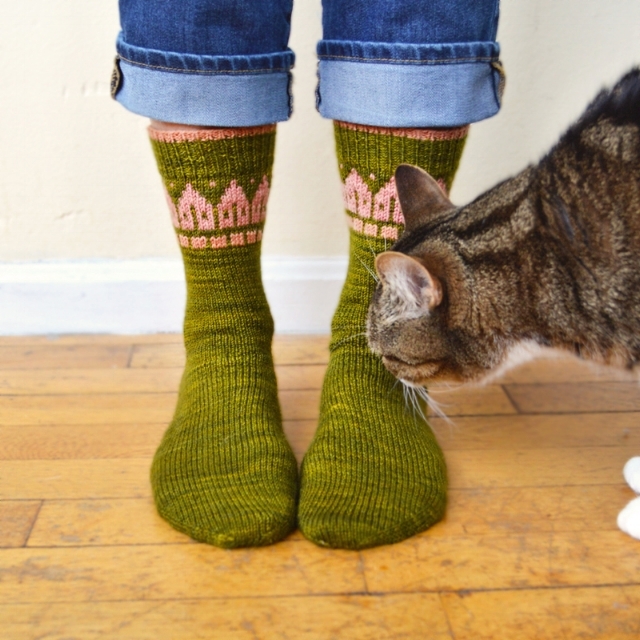 See the project pages for finished Meadow Roads on Ravelry to get some great ideas! I knit up the sample in Stitch Sprouts Yellowstone, a smooth, very soft sportweight wool/silk blend. Its crisp stitch definition and lovely drape made it the ideal choice for this pattern. 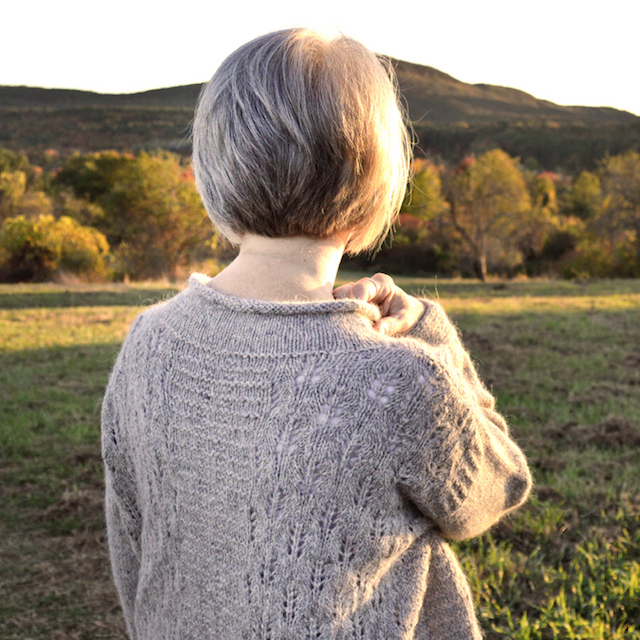 Now through Sunday, October 1, you can save $1.50 off Meadow Road with the coupon code MEADOW in my Ravelry pattern store. Visit the pattern page or use this link to purchase the pattern with the discount already in your cart. Thanks very much for reading!